Born in 1899 to a poor Manchu family in Beijing, Lao She became one of the most important figures of 20th century Chinese literature. 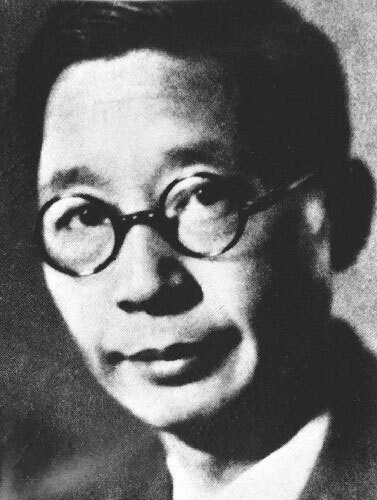 Both a playwright and novelist, Lao She’s works explore the dark side of the times he lived through, including the Sino-Japanese War (1937 – 1945). Among the major themes in Lao She’s writings are those of human frailty and cruelty with strong overtones of social and cultural commentary of the times in which they were written. Lao She’s early childhood was critical in the way that his writings developed, especially thematically. In 1901, at the age of two, Lao She lost his father, who was a guard soldier, to a street fight during the Boxer Rebellion. Growing up, his mother struggled to provide for the family and often regaled Lao She with frightening stories of war and “barbaric foreign devils”, which the writer later recalled as being more terrifying than children’s monster stories.